The purpose of this letter is to explain the microdiscectomy procedure. A microdiscectomy is the removal of an intervertebral disc fragment next to a nerve in your lower back. We have found that the more knowledgeable you are, the better you’ll be able to decide whether to have surgery. If you do have surgery, more information makes the whole surgical experience go more smoothly. Other terms, such as “laminectomy” and “laminotomy” are often used to describe the microdiscectomy procedure. This usage is incorrect. “Laminectomy” and “laminotomy” refer instead to a procedure where a small amount of bone is removed near the disc to gain access to it. A laminectomy or laminotomy are always part of a microdiscectomy, but not the entire procedure. An intervertebral disc is a kidney-shaped structure located between each vertebra. It’s composed of a semi-liquid substance (nucleus) surrounded by multiple layers of fibrous rings (annulus fibrosis), arranged like the layers of a radial tire. Together, the disc and rings form a self-contained unit. The disc is designed to redistribute pressure on the spinal column when sitting, standing, or lifting. It’s strong and stable when any vertical pressure is applied. For example, when you lift an object with your back straight, pressure is transmitted directly onto the disc’s semi-liquid center. As the center tries to expand, pressure is redistributed to the outer fibrous rings. As the pressure spreads outward, the rings resist deformation. The containment of the nucleus by the annulus enables the disc to act like a shock absorber. Two small joints at the back of your spine, called facet joints, provide additional stability when your spine is upright. The facet joints lock in place between each vertebra, making the spinal segment more stable. Together, the disc in front and the two joints in back are like a three-legged stool. It is very stable. Improper bending and lifting negates the disc’s hydraulic design. It’s similar to tipping over a pitcher of water. As you bend forward at your waist, the vertical compression on the disc is now a shear force. The facet joints also unlock and the stability of the “three-legged stool” is lost. There are five discs in your lower back, located between each pairof vertebrae from L1 to S1. The two lowest discs, L4-5 and L5-S1 are the ones that most commonly rupture. The L3-4 disc occasionally ruptures and the L2-3 and L1-2 discs rarely rupture. Pressure on a nerve may manifest itself in the form of pain in the buttocks and/or down the leg. There may be numbness, weakness, tingling, or loss of a reflex in those areas. Note: it is often assumed that nerve pressure causes back pain, but this is rarely the case. 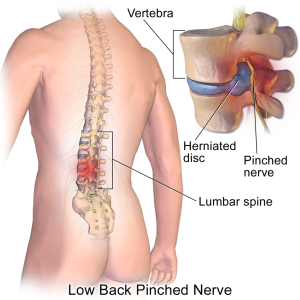 The symptoms of a ruptured disc will vary depending on which nerve root is involved. For example, the fifth lumbar nerve travels down the side of the leg, so if that nerve is compressed, that is where you would feel pain. The first sacral nerve goes down the back of your leg and into the calf. The nerve may be painful in all or part of the distribution of the nerve. The most common reason to have a microdiscectomy is to alleviate nerve pain that has not resolved within a reasonable time period. Disc surgery can provide relief for pain in the buttock area and/or pain that runs down the leg. Many people would like to be more active than their pain allows; this situation often persuades them to have surgery. Research shows that after one year of observation, ruptured disc patients who undergo surgery have significantly better results than patients treated non-operatively (Weber 1983). However, after follow-up periods longer than two years, both the surgical and non-surgical groups have about the same amount of improvement. If your pain is mild or moderately tolerable, we do not recommend proceeding with surgery. We also feel that numbness; tingling; or loss of a reflex alone do not require surgery. These symptoms are not severe enough to warrant the surgical risks. If you have loss of muscle strength, recommendations for surgery are not as clear-cut. There does not appear to be a significant difference for patients with muscle weakness treated surgically versus those treated non-surgically (Weber 1983). Without surgery, the muscle usually regains strength on its own over time. However, if the weakness is profound or progressive, many surgeons feel that surgery might be helpful. Because the data remains unclear, you should have a very clear conversation with your surgeon if you are in this situation. In rare, extreme circumstances, such as loss of bowel and bladder function, immediate surgery is necessary. Disc surgery is not effective in relieving back pain. Since the exact cause of back pain is usually unclear, it should be treated with aggressive rehabilitation that includes careful attention to posture, body mechanics, stretching, core strengthening, and general conditioning. A microdiscectomy is 85 to 90% successful in relieving pain in the leg and/or buttocks. Pain relief is typically quite rapid, although in specific instances, it may take six to eight weeks for the nerve to completely calm down. If a nerve has been pinched for a long time, the success rate is rarely 100% as there is usually some residual mild tingling, weakness, or pain, all of which are usually fairly tolerable. When a disc ruptures, a hole is created in the outer ring. During surgery, the surgeon may enlarge this hole to remove any loose material. It is not possible to repair the hole. Even though surgery is effective in relieving your leg and/or buttock pain, you’re left with a disc that has a permanent defect in the ring. Patients often feel great post-surgery, and consider their back to be “fixed.” While your specific problem has been addressed, it’s important to keep in mind that your back is not “like new.” The rupture has permanently weakened your spine. A significant amount of disc material that remains within the disc can re-herniate or re-rupture through that same defect. Therefore, care must be taken indefinitely to prevent undue stress to the disc. This can be accomplished by paying attention to good posture, body mechanics and conditioning. If you take proper care, you can usually return to almost full function. Conversely, it can just take one bad move to cause the disc to re-herniate. During surgery, you lie face down on a padded frame. You are carefully positioned so that the space between your vertebrae can be opened as widely as possible. The surgeon creates an opening in one of two ways: 1) via a small incision (made with a scalpel) or 2) via a small tube that’s inserted through the muscles. The muscles are dissected over to the side to allow a view of the back part of your vertebrae, called the lamina. A small amount of bone is trimmed from the lamina to create a space between the two vertebrae. This part of the procedure is called a “laminotomy.” Some ligaments between the vertebrae will also have to be removed. The surgeon uses a microscope to view the nerve, which is then retracted towards the middle of the spine. The disc material may be easily seen and removed or it can be hidden under the nerves in almost any direction. Your surgeon will look in every possible place for the ruptured disc. Sometimes just the fragment outside the disc is removed. Other times, a window is made in the ring of the disc and any loose material within the disc is also removed. Occasionally the bulging disc is firm enough so that just the laminotomy is performed and no disc material has to be removed to relieve pressure from the nerve. In certain instances, the disc can rupture to one side of the spine instead of the central canal. If this occurs, the surgery is performed outside of the main spine canal. It’s called an “extra-foraminal” or “far lateral” discectomy. The incision may be a little longer but the outcome is similar to the results of discectomies for more central ruptures. The one problem with this procedure is that the nerve’s cell bodies are located in the area outside the spine. Going in there can cause the nerve to really flare up for six to eight weeks after the surgery. If the disc re-ruptures, pain relief without surgery is typically less likely than with a primary rupture. The scar tissue from the original operation tethers the nerve to the disc space so that the nerve cannot move away from the ruptured disc material. Even a very small re-rupture may cause a lot of pain. A redo disc excision is identical to a primary surgery except for a couple of factors. The redo takes a little longer, and it’s more difficult for your surgeon to maneuver. After a primary disc operation, the scar tissue that forms around the nerve obscures the normal tissue planes. Your surgeon will carefully seek out normal tissue and then work in towards the rupture. The scar’s tethering effect requires more pressure to be put on the nerve to move it out of the way. Therefore, it’s common to experience more numbness and tingling in the distribution of the nerve for a few months afterward. Sometimes these sensations can be permanent. In a redo, there is a higher chance of entering dural sac, which is the sac of fluid surrounding the nerves. The result is leakage of cerebrospinal fluid. Your surgical team can repair this leak, although to recover you must lie flat in bed for a few days while the leak seals up. Generally this process goes smoothly but occasionally it can take multiple attempts to stop the leakage. Overall, the chance of pain relief in a redo excision is similar to that of a primary discectomy. Most surgeons will re-excise the disc on the first re-rupture. It can rupture yet again since often a good deal of material remains in the disc space. With the third operation on the same disc, some surgeons will recommend a fusion to stabilize the segment so it will not rupture again. However, many will just remove the disc again without doing a fusion. This situation needs to be clearly discussed with your surgeon. Alternative methods used to decompress a nerve are chymopapain, suction discectomies, and laser surgery. In these procedures, a probe is inserted into the disc and the disc is chemically dissolved, mechanically sectioned, or destroyed with a laser. These methods are less invasive than a microdiscectomy but they are also not as reliable. We have found that discs small enough to be decompressed utilizing one of the above procedures can usually be addressed without surgical intervention. We believe that if the disc is large enough to require surgery, the nerve should be viewed directly and decompressed by microdiscectomy. A surgeon who is very skilled with endoscopic surgery can accomplish the same goal. Many surgeons use “minimally invasive surgery,” where the surgery is performed through a small tube. It is also a good option. The procedure is the same as a typical microdiscectomy but the incision is slightly smaller. The results are comparable. The most important thing is that your surgeon is comfortable with the technique he or she uses. On the day of your surgery, this is the rough timeline: two hours before your procedure, you check into the hospital or surgery center and the nurse asks you about your medical history. You complete some paperwork and have blood drawn. Twenty to thirty minutes before the surgery, the anesthesiologist interviews you. Then the surgery starts and takes one to two hours to complete. Afterwards you’re brought to the Recovery Room where you stay for about two hours. After surgery you should have significantly less leg/buttock pain, although your back will be quite sore. Even though the size of the incision is small, your muscles were manipulated for the procedure, which causes pain. Appropriate medications are provided to reduce your pain. On many occasions the microdiscectomy is performed as an outpatient procedure. Please ask your doctor if outpatient treatment is appropriate in your case. We have found that there is a lower incidence of complications if you can start moving around shortly after your surgery. You may be able to get out of bed soon after you are taken to your room. The combination of anesthesia and pain medication may cause you to feel nauseated and have difficulty urinating. A significant number of patients require a catheter in their bladder to enable them to urinate. 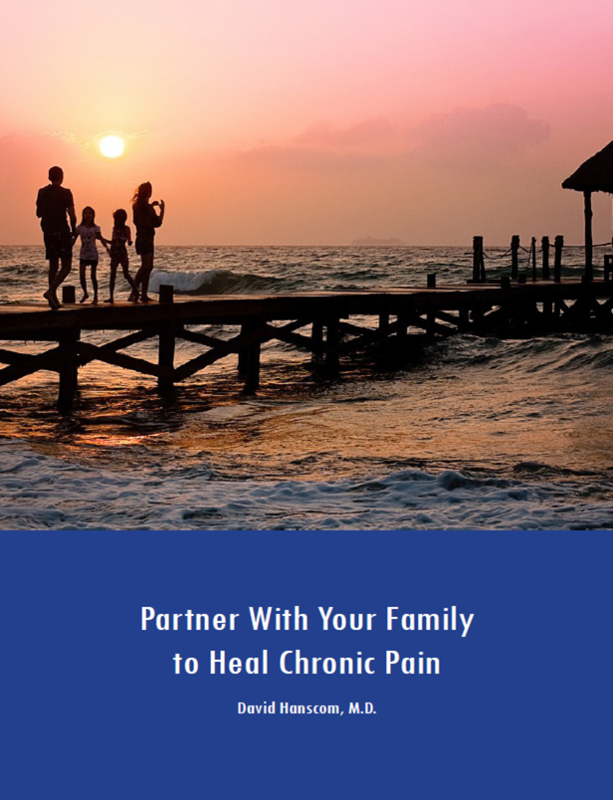 You may go home once your pain is under control; your bowel and bladder are functioning normally; you have minimal nausea; and are able to eat. While most patients are discharged the same day of surgery, many are observed overnight. Occasionally, the hospital stay is longer. We generally advise people to take it easy for the first couple of days upon return home. You’ll be able to take care of yourself, go up and down stairs, and move around based on your own comfort level. 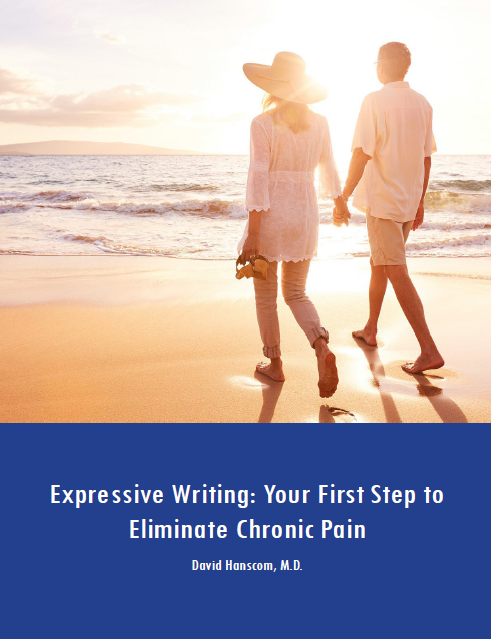 You may drive any time as long as you’re not sedated by pain medications. It’s recommended to do only light activity until your pain subsides, usually one to two weeks. Extensive travel, frequent lifting and repetitive bending are to be avoided during this period. Twisting is OK.
We encourage you to start a walking program three to four days after you get home. You should walk for as long as is tolerable and slowly enough so that pain doesn’t flare up in your leg/buttocks. The nerve is generally quite sensitive after surgery and intermittent leg/buttock pain similar to your pre-surgical pain is common. The pain should calm down quickly if you decrease your activity level. A realistic guideline to establish for yourself is to exercise for a total of one hour per day, under the guidance of your doctor. The exercise can be done all at once or in multiple, shorter intervals. Activity can gradually be increased, but you should still refrain from putting any unnecessary stress on your back for the first six weeks. Each situation is unique and should be discussed with your physician before your surgery. Repetitive bending, twisting, and sitting are the most common causes of disc herniation. Therefore, we believe in preventing future problems by teaching you how to properly care for your back. A back education program includes developing proper posture and body mechanics, strengthening and stretching, and aerobic exercise. A long-term rehabilitation program is an important part of your overall recovery process. Your physician will prescribe a rehabilitation program based on your specific needs. In .5 to 2% of cases, an infection may occur several weeks after surgery and require prolonged use of IV antibiotics. To minimize the risk of infection, antibiotics are used routinely during surgery. Occasionally, an infection may spread into the disc space or progress to osteomyelitis (inflammation of the bone marrow). Future surgeries may also be necessary. A sac of clear fluid called the dural sac surrounds the spinal cord and nerves. This sac is not routinely entered during surgery. If the sac is inadvertently entered during surgery, it is either sewn tightly together to prevent any cerebral spinal fluid from leaking or, depending on the nature of the tear, repaired with biologically adherent compounds. You may be required to remain flat on your back for 24 to 72 hours to enable the leak to seal. If the leak persists, further surgery or special drains may be necessary. Nerve damage can occur due to excess traction or if a nerve is inadvertently cut during the procedure. Symptoms include numbness, weakness, and/or pain. Nerve damage is usually a temporary problem that is isolated to only one nerve. It can occasionally involve multiple nerves, however, and be a permanent problem. In rare instances bowel and bladder function may be lost. Complete paralysis is possible but extremely rare. Although rare, a significant complication is operating at the wrong level. Before surgery, a member of the operative team will ask you to identify which segment of your spine is going to be operated on and which side. They often take an intra-operative X-ray, which also minimizes the risk. This complication may still occur, however, despite all precautions. In 10 to 15% of cases, surgery does not provide satisfactory relief of your leg/buttock pain. If this is the case, it’s likely that the respective nerve has been damaged by disc pressure and the problem cannot be solved with surgery. Occasionally, a leftover disc fragment is still pressing on the nerve and causing ongoing pain. A second operation may be necessary to remove this disc material. A rare but catastrophic complication is the perforation of a major blood vessel such as the aorta or vena cava. As the surgeon attempts to remove loose material from the disc, the instruments may accidentally pass through the disc and nick one of the blood vessels. This requires immediate closure of the wound and abdominal surgery to repair the problem. A patient can die from the complication. As stated earlier, a disc rupture results in a permanent weakness in the disc. It’s also impossible to remove all the fragmented material from inside the disc. About 5 to 10% of patients will re-rupture additional disc material through the same hole and develop identical problems over a ten-year time frame. This is about a 1% chance per year. The re-rupture can also occur many years later. This is why it’s critical to change your daily activities to avoid undo repetitive stress on your lower back. Removing a disc fragment that’s compressing a nerve can be quite effective in relieving leg and buttock pain. This type of surgery, however, will not decrease low back pain. That is not the intent of the surgery. If you are experiencing back pain longer than six weeks after the surgery, it should be treated with rehabilitation. Sometimes surgeons will recommend a spinal fusion for persistent back pain after a discectomy. This is a debatable decision. We recommend that every possible type of non-operative care be done prior to considering this option. Although uncommon with a simple disc excision, a blood clot can form in the patient’s leg as a result of surgery. This situation might require blood thinners to dissolve the clots. In rare cases, the clot breaks off and travels to the lungs, which is called a pulmonary embolism. It has the potential to be fatal. In extremely rare cases, surgery can result in blindness. This occurs if the blood supply to your eyes is interrupted. This risk is normally associated with much bigger surgeries with higher blood loss, but not unheard of in a simple microdiscectomy. The resultant blindness is complete and permanent. When disc fragments migrate up and under the nerves or dural sac, your surgeon usually can reach around with his or her instruments and find them. Occasionally, however, they are missed, which requires another operation for removal. When a piece of gauze or other material is left behind in the wound, another trip back to the operating room is required to remove it. If it is not detected in a timely manner an infection may result. A misdiagnosis of your problem is an obvious reason why a given disc surgery would fail to relieve your pain. If there is no ruptured disc (or other issue) found during disc excision surgery, there is little chance of a successful outcome. Making a correct diagnosis is more difficult in the case of a redo disc excision. The scar tissue on the MRI scan can look just like disc material and vice versa. The presence of the ruptured disc cannot be confirmed until the surgery is performed. These risks need to be discussed with your anesthesiologist. Less serious complications include bladder infection, kidney infection, superficial wound infection, superficial incision breakdown, inability to urinate, temporary increase in leg pain, nausea, headaches, reactions to medication, and constipation. As with any surgery, unanticipated complications not mentioned here may occur. Some of these complications have the potential to become a significant problem. They should be considered when deciding whether to undergo surgery. We recommend that you have a microdiscectomy if your symptoms are disrupting your quality of life and you have a specific anatomic issue that can be corrected. However, if your symptoms are tolerable or we cannot find an anatomic problem, surgery is not a good idea. It’s our role to provide a diagnosis. However, only you can determine if the pain and discomfort you are experiencing is worth the risk of surgery.